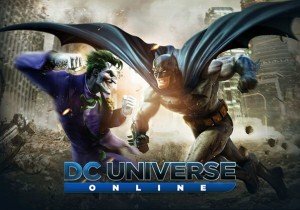 The 80th-anniversary celebration for Superman continues as DC Universe Online continues the “Death of Superman” storyline in the game with “The Death of Superman – Part 2”. This allows players to earn the Superman 80th Anniversary Emblem and will see the Superman vs. Doomsdale battle come to its epic conclusion. There will be both a regular and level 10+ version of the Raid, as well as new feats and a title to unlock. Those who manage to stop Doomsday will earn the 80th Anniversary Emblem and will be available on the celebration vendor until December 31, 2018. Another celebration that is being done is a “Death of Superman Caption Contest”, where the winner receives a 10-pack of each of the Action Comics #1000 variants. The link below will have the caption image to use, where you’ll add what you think Doomsday is thinking about. The best will be chosen by how creative and thematic they are for Superman/DCUO. Now you can download and play Sphere 3: Enchanted World for free on its official website and also on Steam.